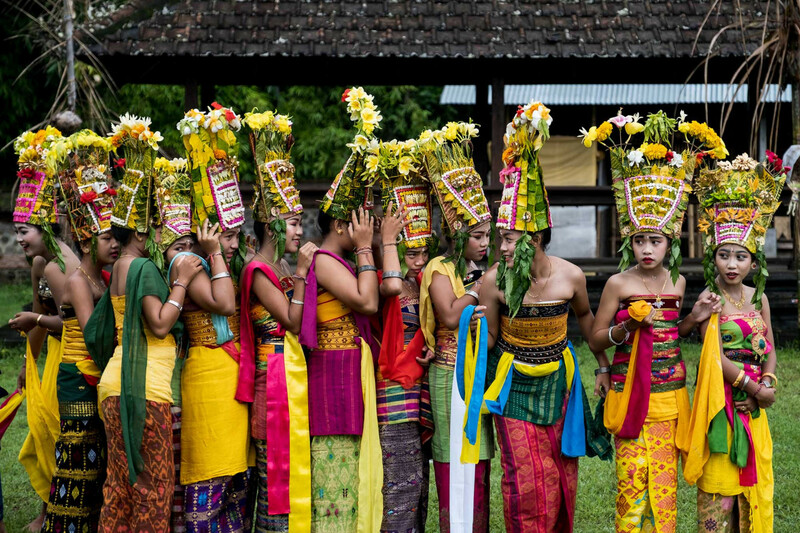 A day after Bali celebrated Kuningan, 31 girls were preparing to welcome the gods with their sacred rejang dance at Jasri village, Abang regency, Karangasem regency. 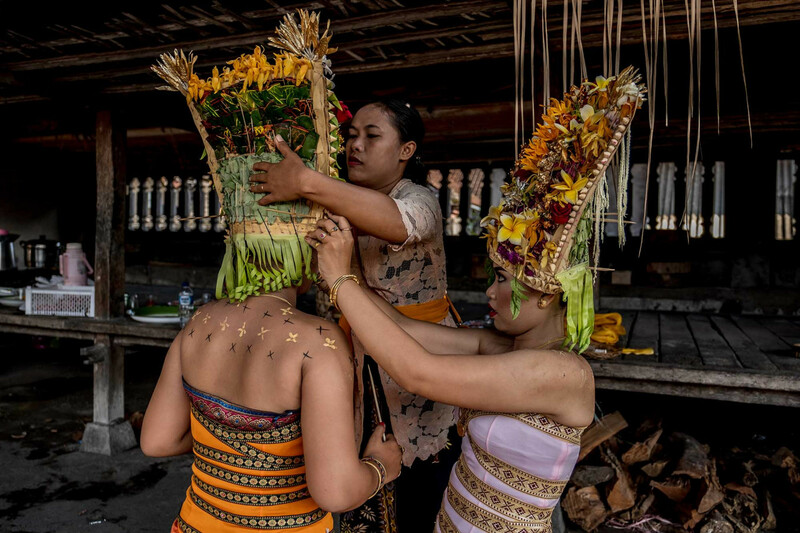 of woven coconut leaves adorned with white and yellow flowers. 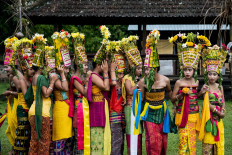 “Rejang is a dance to greet the gods that come down to the Earth,” Murniasih said. The dancers required no prior training. 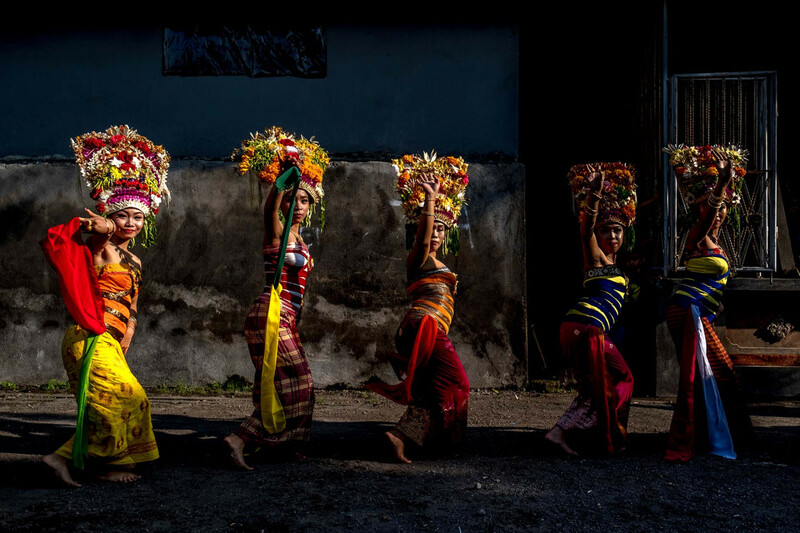 They believe the spirit of ngayah would guide them to perform the dance movements harmoniously. 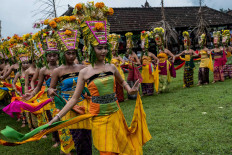 performance from Bale Gede before proceeding to the temple yard. 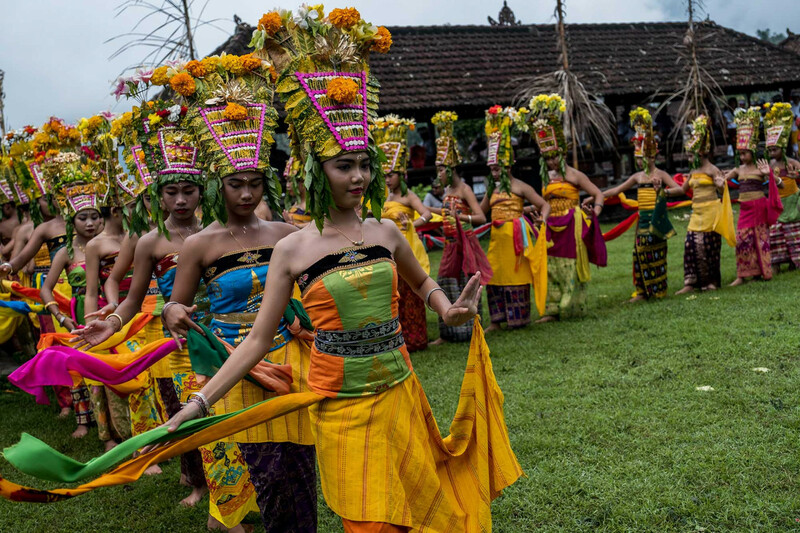 Aside from Jasri village, scores of old villages in Abang regency also held rejang dance performances. 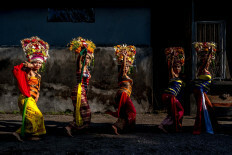 Each village developed its own versions of rejang dance, ornaments and attire. However, all share the same hope that the sacred dance would guide the gods to be “present” and to bestow compassion, blessings and benevolence on them.